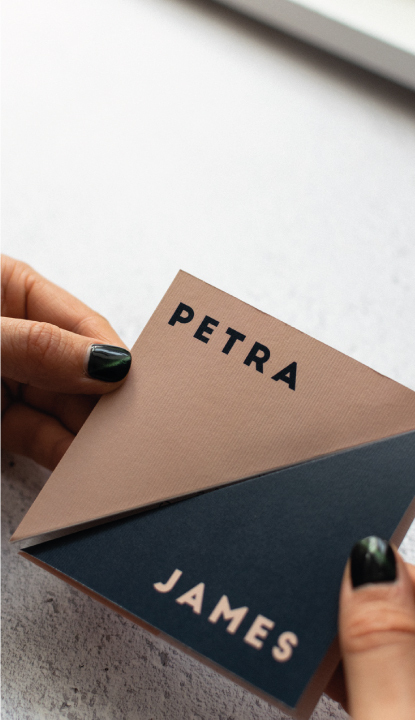 This tailored collection is called ‘Geo’ and is inspired by geometric shapes, block colours and modern architecture. Taken from geometric shapes, block colours and modern architecture. With this design you have two size options to choose from. Both sizes however have the same layout and function upon opening. 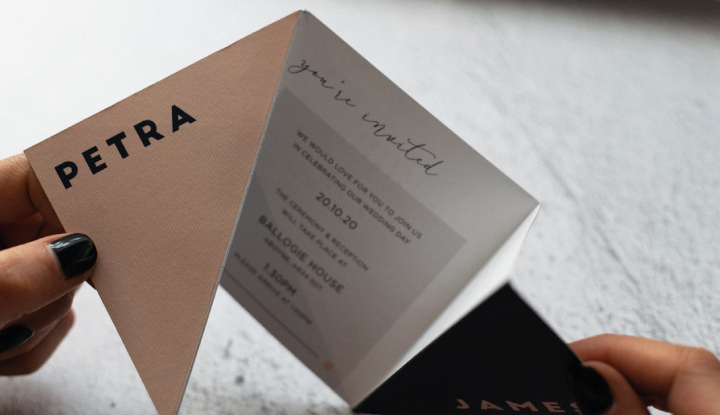 The tag size and RSVP card size also increases with the large version. 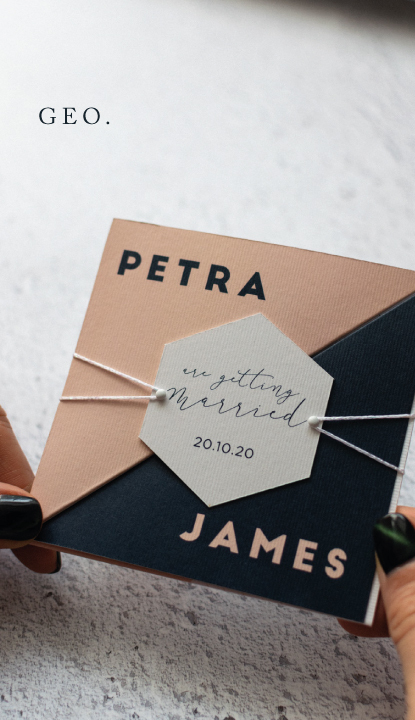 The invitation arrives closed with a hexagon shaped tag to keep it secure. 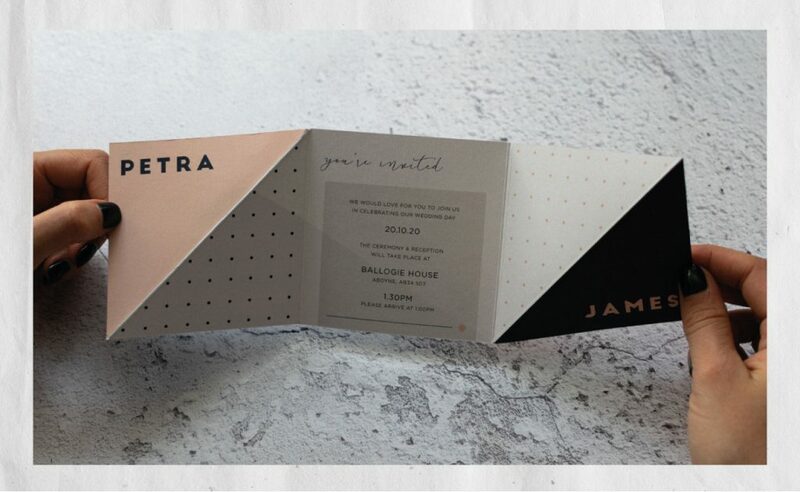 Various twines & strings are available, that will tie the tag over the invite. 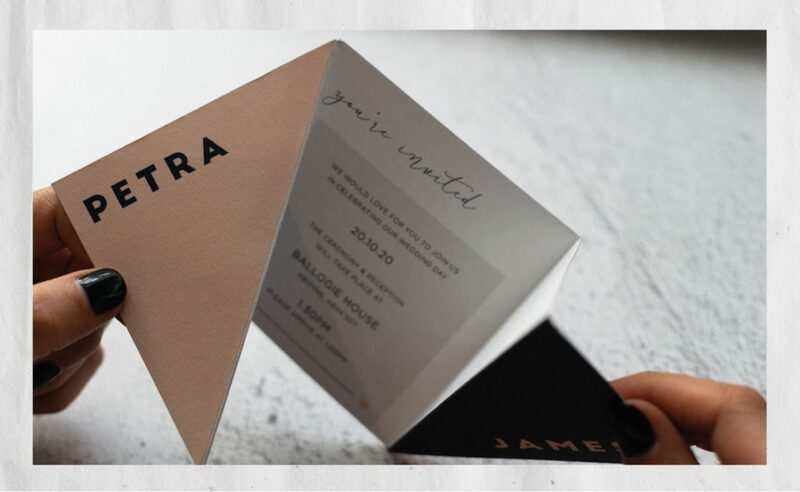 Once the tag has been removed, the invite twists open when pulled, and reveals the main wedding information in the centre. If you turn the invitation over there are three panels to hold additional information. 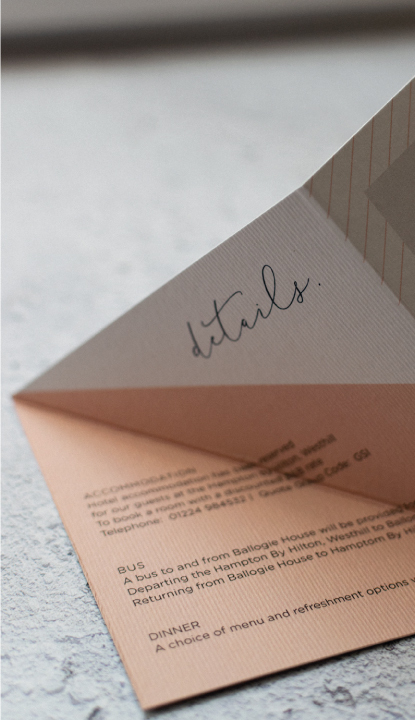 The tag and twine also keeps the RSVP held in place at the back with return envelope. Block colours and shapes can be amended to suit your palette. 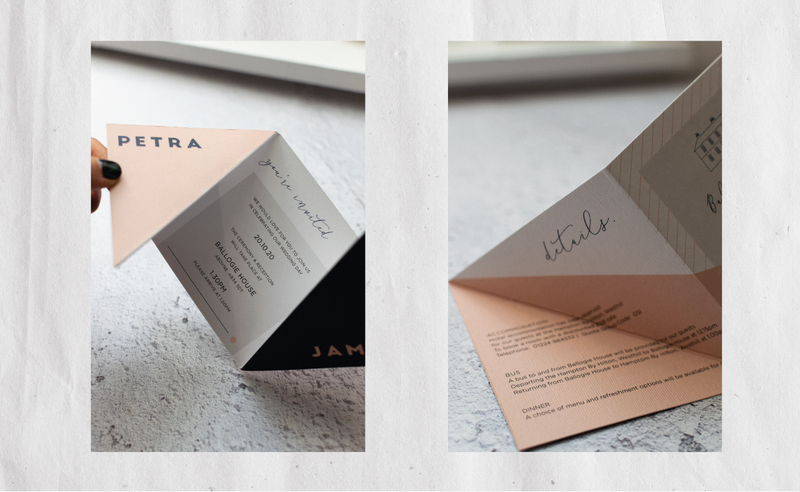 Linear textured card, in keeping with this theme, with same card used for RSVP cards and tags. 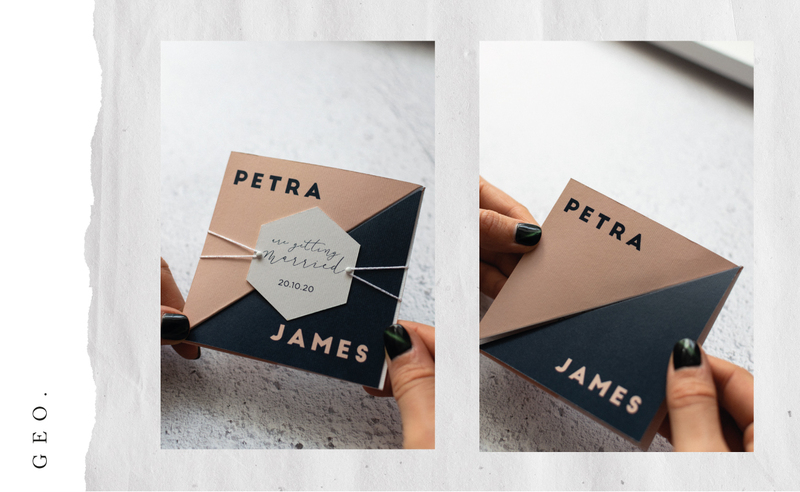 The tags are assembled with choice of twine/string/cord with mini brads available in various colours/metallics. A Save the Date can be created for you using the Geo theme in your chosen colour, fonts and text. Standard format pricing is below. Upgrades can be made on request. The Geo collection comes in two sizes. The different price options are listed below. 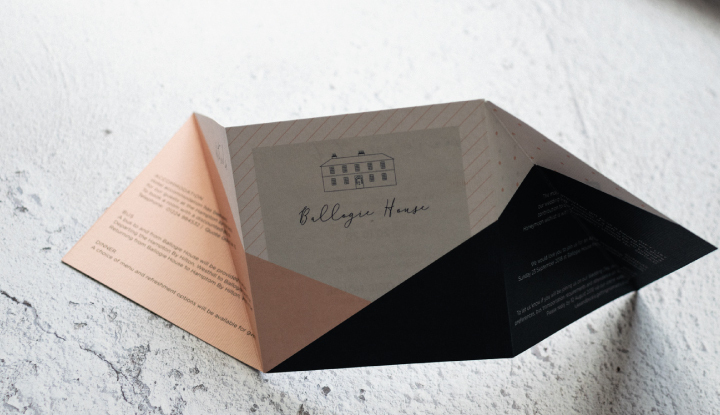 An evening invitation variation can also be created for you using the Geo theme, with your choice of colours, fonts and text. 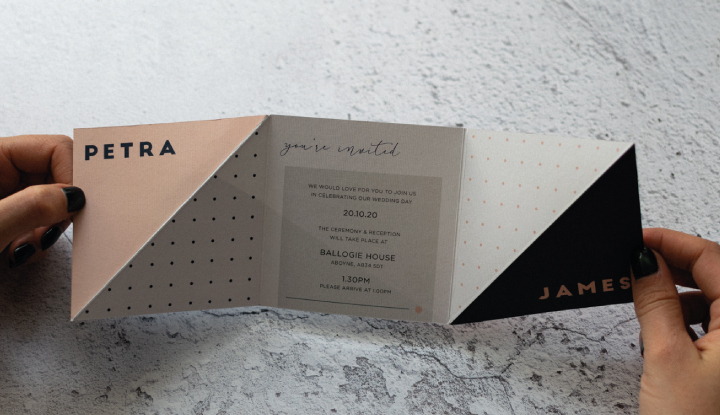 Alternatively these can be used as simplified day invitations. 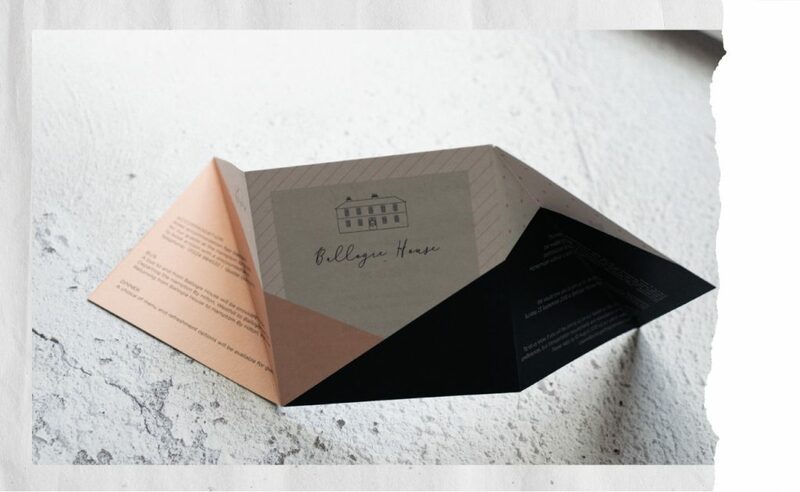 On the day stationery can also be created for you to compliment the Geo style, please get in touch for options and prices.